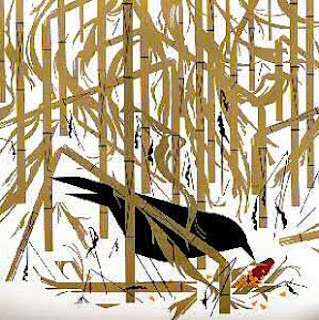 The Art Museum: "Autumn, by Charlie Harper"
"Charley Harper (August 4, 1922 - June 10, 2007) was a Cincinnati-based American Modernist artist. He was best known for his highly stylized wildlife prints, posters and book illustrations. In a style he called "minimal realism", Harper captured the essence of his subjects with the fewest possible visual elements." Hi! It's been a while since I have visited your blogs. I don't know if you remember me or not. :) Anyway, I want to thank you for introducing me to this artist. I had not heard of him before and I really love his work. I clicked the link to his wikipedia page to find out more about him. The first painting is so very beautiful. I didn't notice the cardinal at first glance, though my eyes were drawn to it. That is what I love about art... that element of surprise. I also checked out your sketchbook. I really hope you find some inspiration for new drawings. You have such an amazing talent. Being a long time Zeppelin fan, I especially loved your Jimmy Page. That was awesome!! Hi Cheryl! Nice to hear from you again! And thanks for the kind words about my art. 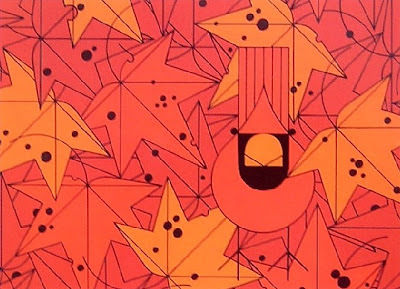 There is a really great new book on Charley harper's work out. It was put together by Charley and his biggest fan the designer Todd Oldham, it's about $100 but it's a huge book (I haven't saved up for it yet). I remembered his art from when I grew up, but I never knew his name until I saw a special on him with Oldham on that Sunday Morning show. His work is so amazing to me, very simple and clean yet technical, and also very humorous and whimsical.